For those who didn't follow along with our adventures on Instagram (@hellohenrys), we spent this past Labor Day weekend in LA. With so many of our travels this year focused on international destinations, it was SO nice to get away somewhere closer to home. We'll be sharing a more detailed itinerary down the road, but below is a list of everywhere that we ate and drank on the trip with honest reviews and recommendations. THE BUTCHER'S DAUGHTER - This restaurant had been on our list when we visited NYC a few years ago, but, sadly, we had enjoyed a few too many margaritas the night before to be able to make it. Because of this, we knew we HAD to make it to the West Coast location on this trip and we were not disappointed after a 3 year wait. The restaurant is located on ultra trendy Abott Kinney in Venice. The menu is entirely plant-based with many gluten free options as well, but tasted surprisingly good. We recommend the Matcha Green Tea pancakes with an elixir shot on the side. Might just be in our heads, but we felt super detoxed. IVY AT THE SHORE - Little sister to the iconic Ivy in Beverly Hills. This location is located right along Ocean Avenue in Santa Monica and was absolutely stunning. The aesthetic and location are an Instagrammer's dream and we were greeted upon arrival with complimentary (and unlimited) champagne. You also receive a plate of fresh-baked currant scones to start and a bag of hot from the oven chocolate chip cookies on your way out! The price per entree is a little more than we would usually pay (hello, $27 garden omelette), but with all of the complimentary perks and the insane ocean view, we thought it was more than worth it. 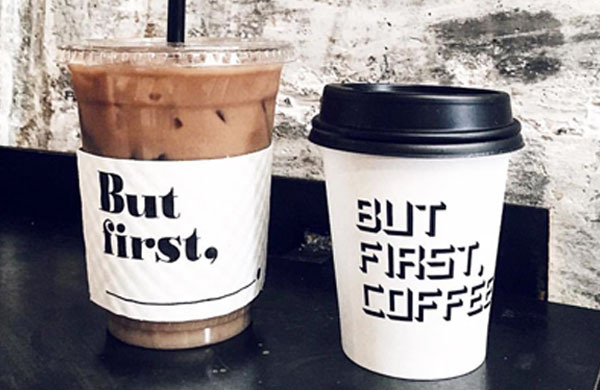 ALFRED - You know the famous catchphrase "But First, Coffee" that has graced countless T-shirts, mugs, notebooks, you name it? Well, this phrase was first coined and trademarked by Alfred, a small chain of tea rooms/coffee shops in LA. The coffee was great quality and there were tons of healthy breakfast options for on the go. We grabbed the peanut butter overnight oats and were not disappointed. Note, their famous $10 coffee is not worth the price. You'll be more than happy with your normal Americano or go to order. OTHER BREAKFAST PLACES WE VISITED: Sidecar Doughnuts in Santa Monica, Blue Star Donuts (multiple locations), Menotti's in Venice Beach and Nordstrom eBar (because Lauren always has to visit the local Nordstrom locations on our trips). 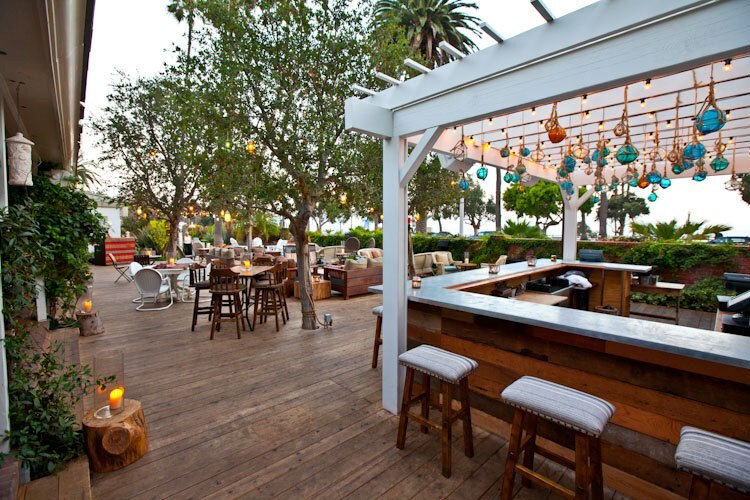 MALIBU FARM - Wow, we can't say enough good things about this dreamy restaurant. Located on the Malibu Pier, there isn't a bad seat in the house and everything on the menu is organic and farm-to-table. The restaurant doesn't take reservations, but we didn't wait more than 20 minutes to get in. Pro-tip, there is a Malibu Farm and a Malibu Cafe next door to one another. They serve the same menu, but the views are a little better at the Cafe, so try there first. Also, you cannot dine here without ordering the frose. URTH CAFFE - Multiple locations, but we visited the Beverly Hills location after our hike up to Griffith Observatory. There is something for everyone here with a ton of gluten free, vegan and vegetarian options. One of the best sandwiches we have ever eaten - $12 for the sandwich and a side salad was more than fair for the quality. Definitely stop here if you're hungry and want a good meal without wasting 90+ minutes at a true "sit down" restaurant. GRACIAS MADRE - Entirely vegan Mexican restaurant that was surprisingly delicious and located in the culinary and nightlife hub of LA - WeHo. We sat outside and dined under a canopy of trees covered in string lights - so cute! Order the La Quinceanera cocktail, basically a tequila snow cone. NOBU MALIBU- BEST MEAL OF OUR LIVES. Unless you've been living under a rock, you have no doubt heard of Nobu, the go to dining spot for countless celebs, from Jennifer Aniston to Kourtney Kardashian to John Legend and everyone in between. 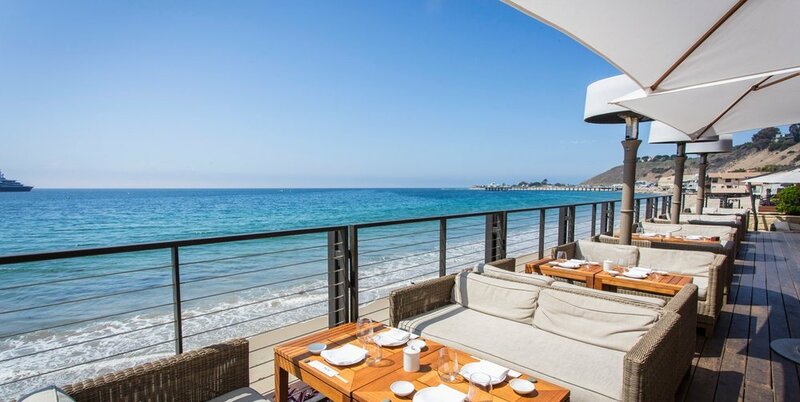 We have dined at other Nobu locations, but the Malibu location blew all others out of the water. Not only is the view out of this world, but the additional menu selections that are exclusive to this location were so good! Must orders are the Crispy Rice with Tuna and the Black Cod. Also, while this restaurant is a celebrity hot spot, it is still relatively casual. Of course, don't show up in cutoff shorts and flip-flops, but a cocktail dress will make you look way out of place here. GJELINA - Super romantic spot on Abbott Kinney in Venice. They are most well-known for their pizzas, but we also ordered a roasted chicken entree and one of the charcuterie boards and loved everything! If you're a fan of wine, the wine list was impeccable and will compliment your meal perfectly. Great spot to eat if you're planning to go out afterwards in Venice or Santa Monica. ROSENTHAL WINES - Located in Malibu, this winery is super cute and right across the street from the beach. They have live music most nights in the garden and food trucks to order lunch or dinner while you drink. We did tasting flights and then ordered a bottle of our favorite - the Gruner Veltliner- to enjoy while taking in the Malibu views and ambience. THE WHALER - Located in Venice Beach, this bar had a great rooftop, outdoor patio with what we're sure would be great views during the daytime. This definitely has the frat-boy vibe of recent college grads trying to continue the glory days in a slightly nicer establishment. Luckily, we aren't too far removed from this time, so we still enjoyed it, but definitely isn't for everyone. EVELEIGH - Another great date night destination, Eveleigh, on the Sunset Strip, had amazing cocktails and, if you head to the back bar, a nice view of the LA skyline. One thing to note, we had made reservations for a table, as it was Saturday night and we figured it might be standing room only otherwise. Maybe this is just an LA thing, but tables are only allowed for guests ordering dinner. We encountered this at few places that we visited for drinks and it was a little awkward to be asked to leave your table, so just a heads up! We already can't wait to plan another trip to LA, primarily to keep eating and drinking. We were pleasantly surprised by everything that it had to offer and the amazing quality of literally every single meal. So many more neighborhoods that we have yet to explore, so let us know some of your "can't miss" spots for our next trip! !